A popular garden plant Cistus are a group of evergreen shrubs, native to the Mediterranean. 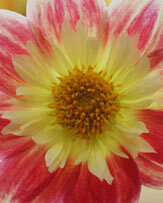 A tough drought tolerant plant once established, Cistus flowers are white, pink or yellow and resemble those of roses. Appreciated for the masses of colourful flowers over a long period, these are an excellent choice for a sunny position in the border. Mass planted as a ground cover in an open sunny position you will be greeted with a profusion of flowers, some with darker markings, from early summer to autumn. 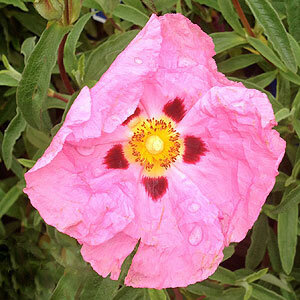 Cistus ladanifer is known as the 'gum cistus' or 'gum rock rose'. It is the sticky leaves that give it its name. Excellent in the garden border as a background plant. Large white flowers spotted with purple. Cistus x purpureus with its large pink flowers with crimson blotches through summer is another great addition to the border. Cistus incanus has mauve flowers with yellow stamens in the centre that make it a bit of standout flower. 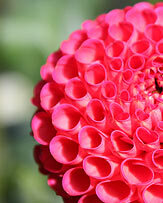 As well as being a garden plant it is also used to make a tea. Cistus salvifolius var. 'prostratus' is a low growing form known as the sage leafed cistus, white flowers and a useful ground cover. 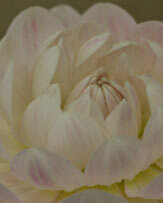 Requiring very little care as long as they have good drainage they seem to thrive. In the UK plant cistus agaianst a south facing wall for maximum warmth. They grow well in combination with rosemary, santolina, lavender, agastache and rudbeckia. 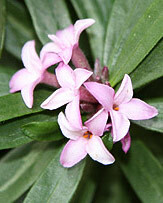 Plant early in spring in a well drained soil. If needed mound up the garden bed to improve the drainage. 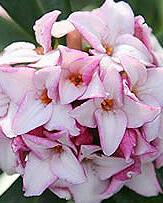 Although the popular C. ladanifer are regarded as frost hardy, very heavy frosts will cause some damage.